Have fun shooting all the enemies in this Ben 10 shooting game. Ben 10 needs your help to save the universe from aliens once again. Defeat all the enemies to progress to the next level. Ben 10 will face Cannonbolt, Diamondhead, foruarms, Ghostfreak, Greymatter, Heatblast, Ripjaws, upgrade, XLR8, Wildvine and many other enemies. Each level has a limited number of bullets. Each alien defeated gives you 100 points. You loose 5 points for each second that passes. Ben 10 Shooting Game is an entertaining game. Can you shoot all the Ben 10 Aliens? Use the mouse left click to make Ben 10 shoot the aliens. If you want to play Ben 10 Shooting games online you have come to the right place! GamesLoon adds new Ben 10 Shooting games every week. This is your game portal where you can find the biggest collection of free Ben 10 Shooting games online. 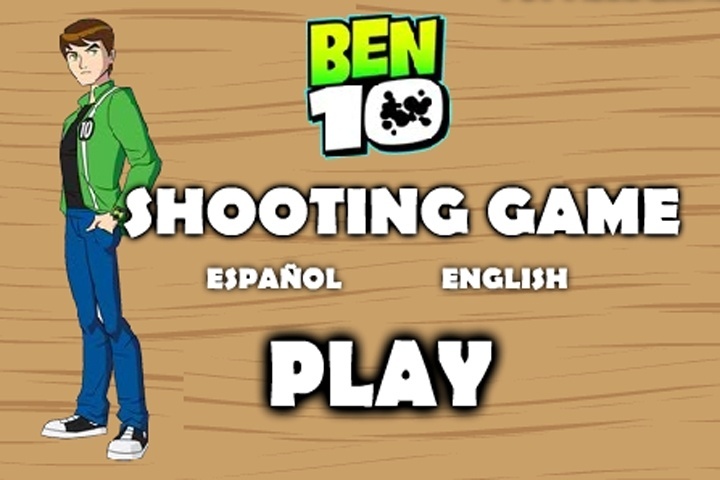 Do not forget to rate our Ben 10 Shooting free online games while playing!